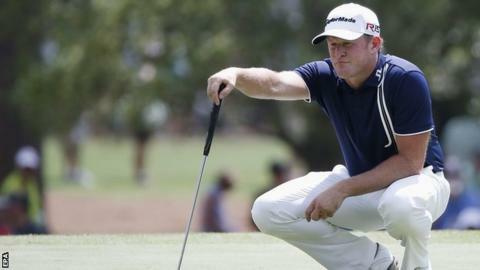 Jamie Donaldson endured a lacklustre start to his 2015 Masters challenge with a first round two over par. The Welshman, partnering Tiger Woods and Jimmy Walker at Augusta, bogied the first, fifth and sixth holes. The 39-year-old recovered with birdies at the eighth and 13th, but a bogey on the 18th saw him well behind overnight leader Jordan Spieth on eight under. Ian Woosnam, 57, had looked set for par but a double bogey on the 16th and a bogey on the last left him three over. World number 27 Donaldson finished joint-14th in 2014, while Woosnam claimed the famous green jacket in 1991.